View of Nos.50-52 Bernard Street, showing griffon label-stops. 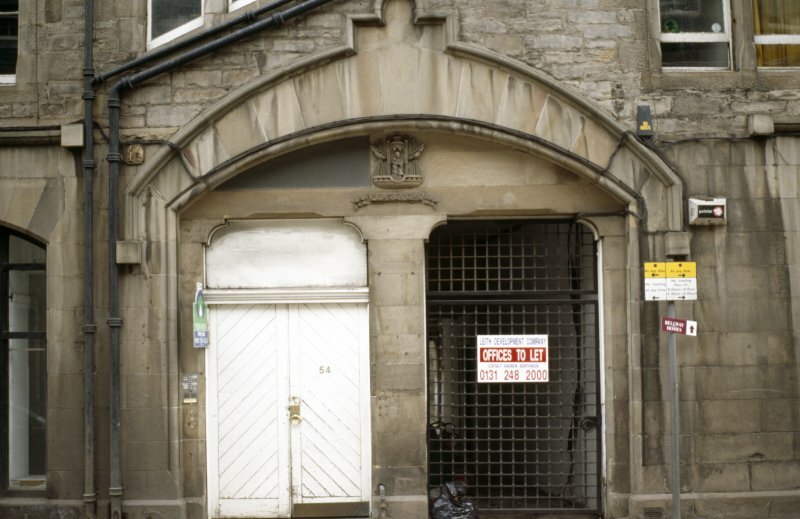 View of arched entrance to No.54 Bernard Street, showing coat of arms of Leith. Virgin and child enthroned on a ship between two masts with semi-furled sails. Ribbon with inscription is separate below. Pair of seated griffons with wings form label-stops of stepped date stone. Both face front. 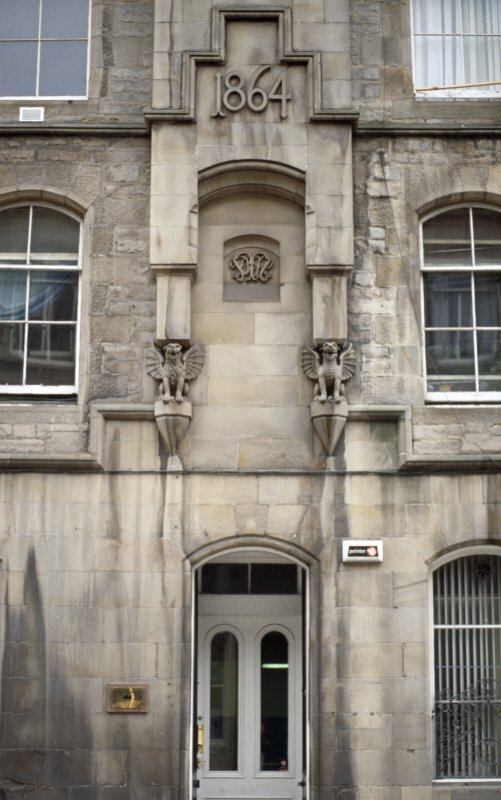 Below the date stone (and above and between the griffons) are entwined initials.